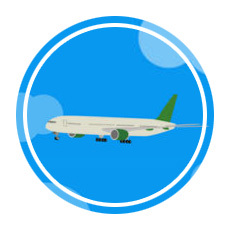 Jet lag; known as desynchronosis to some, circadian dysrhythmia to others. Actually, most people just call it jet lag. Whatever you call it, the phenomenon can definitely become an unwanted distraction on an otherwise exciting vacation. You know the feeling, you sit on a plane for an extended amount of time, crossing multiple time zones, only to reach your destination and realize your internal clock is all messed up. 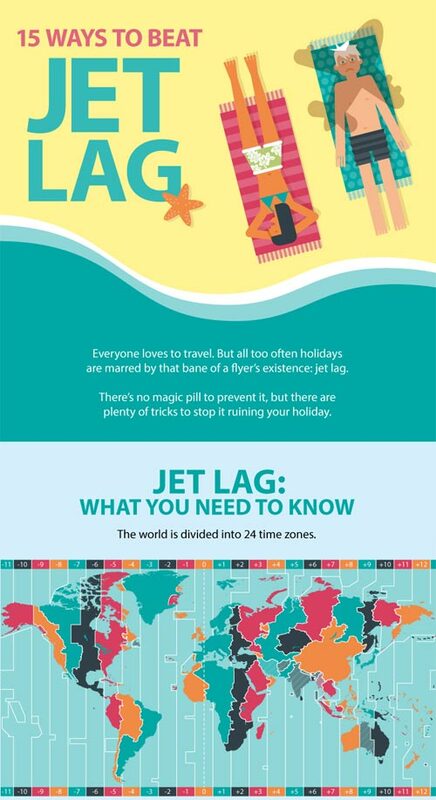 Jet lag can have a negative impact on when you can fall asleep, when you feel hungry, and how you function- all things that can complicate your vacation plans. But never fear! There are ways to defeat this annoying (yet, somehow unavoidable) symptom of long distance travel. 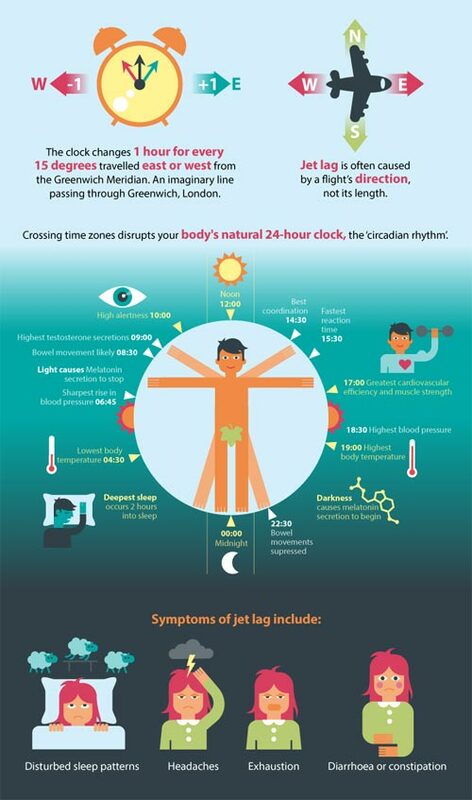 We found a couple great infographics that share some helpful tips for beating jet lag. 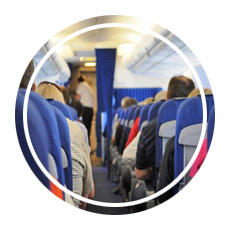 Take a look and see if any of these strategies work for you on your next extended flight. 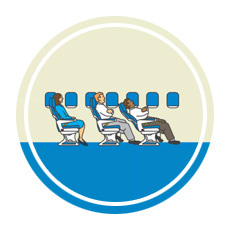 How do we deal with Jet Lag on long flights? We’ve had mixed results when it comes to dealing with jet lag. The best recommendation we can provide is to “follow the sun” when you travel. If you arrive somewhere in the middle of the day but your internal clock says it should be the middle of the night, try to stay awake until it gets dark and use that night’s sleep to reset. That could mean your day feels a lot longer than usual, or maybe it feels like an early night to bed (neither option is ideal), but it has worked for us. In fact, we usually wake up the next day and find ourselves locked into the local time. No more jet lag! 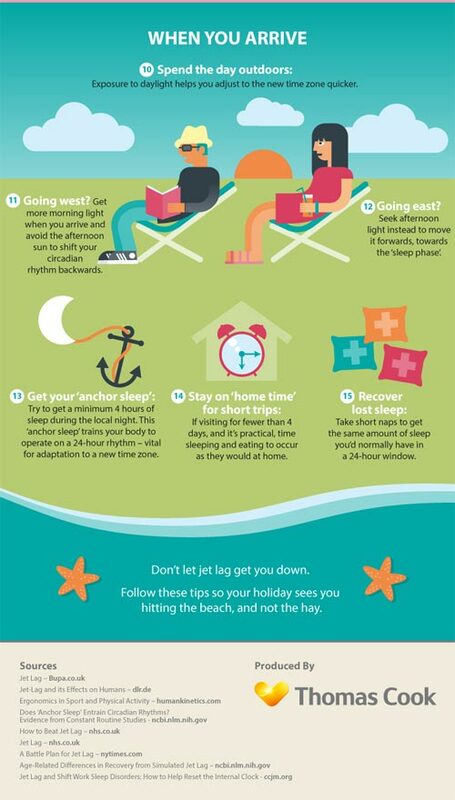 How do you deal with jet lag? What strategies have you used to fight it? Leave us a comment below!